The Ekiti State Police Command yesterday said it has arrested 27 persons for electoral related offences in the July 14 governorship election in the state. The state Commissioner of Police, Bello Ahmed, said culprits were arrested a day to the election and on the day of the election. According to the Police Public Relations Officer (PPRO), DSP Caleb OkechuKwu, 11 of the persons have been arraigned in court. He said, “The peaceful conduct of the election is not without attempts by certain individuals to truncate the process. 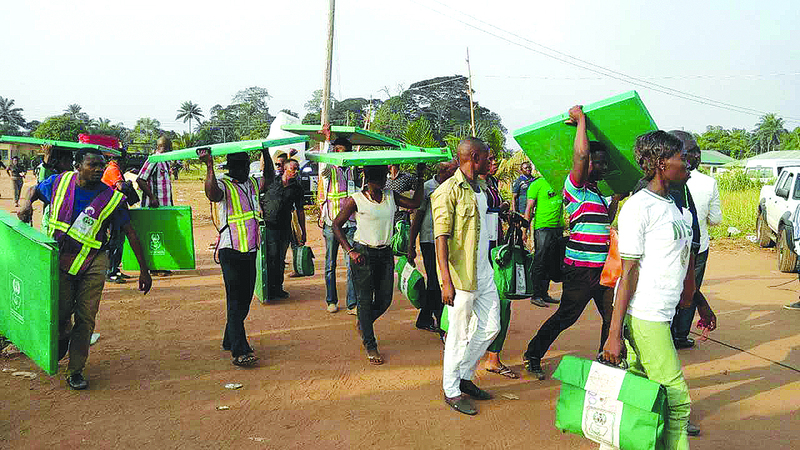 “Prompt response of the police a day to the election and on the election day led to the arrest of 27 persons for various electoral offences which includes impersonation of the security agency on election day, undue influence of electorate, snatching of ballot boxes and attempt to disrupt electoral process. “Eleven of the persons so far arrested have been arraigned in court.